Leo Varadkar said progress is being made on implementing the recommendations from the Portlaoise report. THE MINISTER FOR Health Leo Varadkar said that the reports into the tragic death of Savita Halappanavar and perinatal deaths at the Midland’s Regional Hospital in Portlaoise make us strive to ensure that Ireland’s health and social care services “are truly safe and of the highest quality”. Speaking at a Patients Safety conference today, Varadkar said that the findings of these reports “reminds us that we still face many challenges in ensuring that our services are capable of identifying, reporting and learning from adverse events when they occur”. He said his department has now put in place a regular reporting mechanism with the HSE to ensure that the recommendations of these and other reports are implemented. Varadkar said that patient safety has also been identified as an over-riding priority in the HSE National Service Plan and is one of the areas reviewed by his department on a monthly basis with the HSE as part of the NSP monitoring process. A significant challenge for the system is the gathering and use of information available that allows us to measure and track patient safety.One of the recommendations of the CMO’s Report into Portlaoise was the development of a National Patient Safety Surveillance System.Two further recommendations were the requirement for the HSE to develop a Quality and Patient Safety Accountability Framework and patient safety statements for all clinical services. My Department is continuing to work with HIQA and the HSE to progress these recommendations. Speaking about identifying and acknowledging failures, he said that there needs to be a move away from “blame cultures” where people are afraid of identifying the real causes of failure, for fear of getting blamed or litigation. He said instead they should be working to create a “safety culture”, by encouraging open reporting and balanced analysis. “We are working to establish better reporting systems, so that sound, reliable information can provided a solid base for analysis and improvements,” he said. Varadkar admitted that failures sometimes occur, through a combination of active failure and latent conditions, but he said it can be a mistake to focus only on the individuals involved and not the wider factors. Our objective is have a unified mechanism for reporting and analysing when things go wrong, and not to be afraid of learning from failure. This is the only way that the mistakes of the past can be avoided, and the lessons of past experience learned. 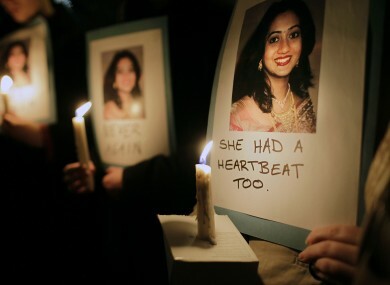 Email “'Tragic cases like Savita Halappanavar make us strive to ensure our health service is safe'”. Feedback on “'Tragic cases like Savita Halappanavar make us strive to ensure our health service is safe'”.